With all the attention on Borderlands in recent months, we almost forgot that Gearbox also has a little game called Aliens: Colonial Marines in the making. While not being able to say much about it, with Sega understandably wanting to keep the media attention on their other Aliens game, Aliens vs. Predator, Gearbox CEO Randy Pitchford does assure once more that Colonial Marines is indeed still very much in development and that the company is in fact ‘working their butts off’ on it. Pitchford has said as much on a few previous occasions as well when the long silence got people worried so, with the Aliens RPG getting canned and all, it’s nice to know nothing’s changed. 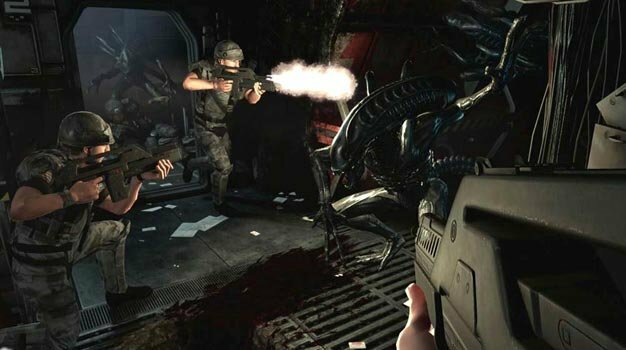 Guess we’ll start hearing some actual details once Sega pushes AvP out the door in February.